Odin is arguably one of the most enigmatic and complex characters in Norse mythology. Revered since the Viking Age, Odin has been called the greatest of the gods�the god of words and wisdom, runes and magic, a transformer of consciousness, and a trickster who teaches truth. He is both war god and poetry god, and he is the Lord of Ravens, the All- Father, and the rune master. 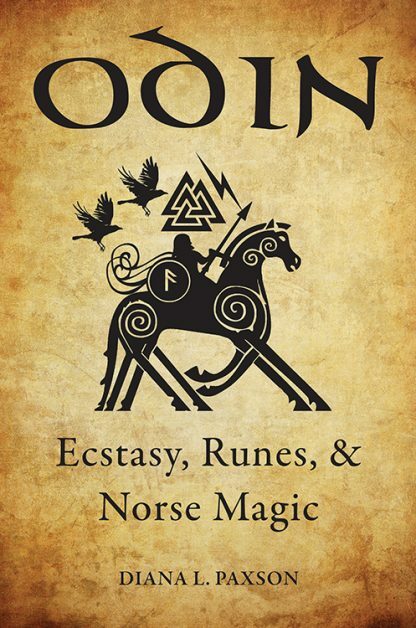 Odin: Ecstasy, Runes, and Norse Magic is the first book on Odin that is both historically sourced and accessible to a general audience. It explores Odin�s origins, his appearances in sagas, old magic spells, and the Poetic Edda, and his influence on modern media, such as Tolkien�s Lord of the Rings trilogy. Each chapter features suggestions for rituals, exercises, and music, so readers can comprehend and become closer to this complicated god.